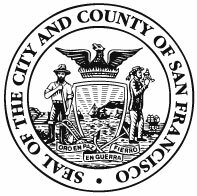 SF Environment is pleased to bring City and County of San Francisco (CCSF) employees the Pre-Tax Commuter Benefits Program, giving you flexibility, convenience and choice. This program saves you money through pre-tax payroll deductions. Because the money is deducted before taxes are taken out, you save between 25% and 40% on your transit and vanpool expenses compared to your costs without the program. On average you save approximately $20 on every Muni Monthly Fast Pass for an annual savings of $240. If you ride BART or any other type of transit, you can save even more. Have further questions about commuter benefits or curious about our additional programs? Contact Commute Smart by phone (415) 355-3700 or by email [email protected].